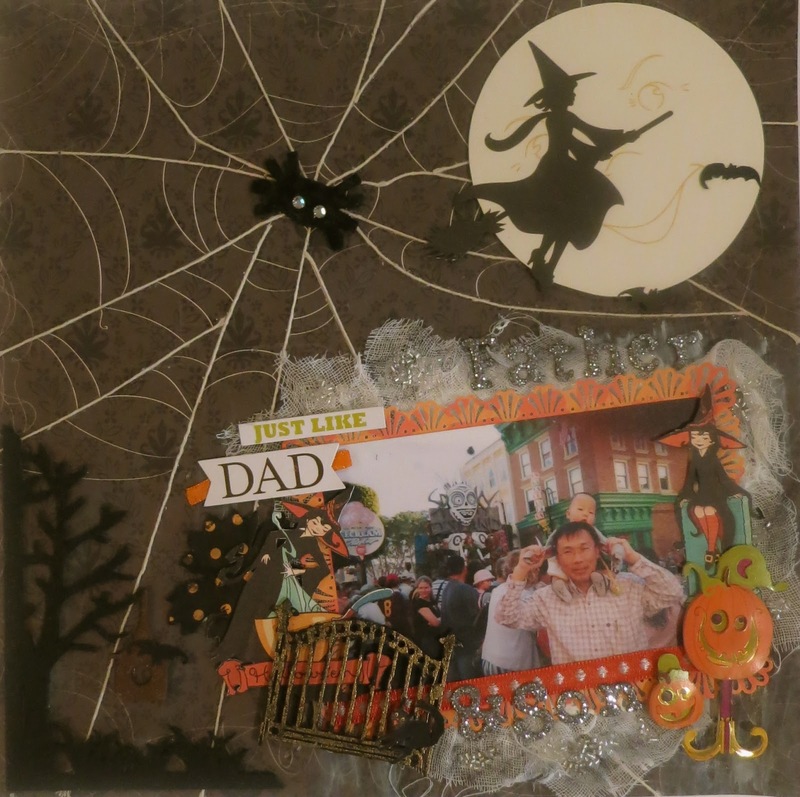 I used October Afternoon papers - Witch Hazel. I really love these papers... super cute! I put some twines on the spider's web image. ...and look at the spider... i drew that spider and put some flocking powder on that cute stuff. I embossed the tree with distress embossing powder - black shoot and the bat's house - vintage photo. For the gate, I colored with black acrylic paint then embossed with antique gold embossing powder. Love the paint, and how you used those OA papers. Thanks so much for joining us at SEM. Love all the special touches on this fun layout (especially the twine on the web). Thanks for joining in this month's "Family Ties" challenge at Scrapping Everyday Miracles! this is a super fun page! loving the details and elements! thanks for joining us over at SEM! so creative and interesting! wonderful project and I love the photo you scraped!